Kupenga means a Net which is a symbol of the “drawing together of intended people”. 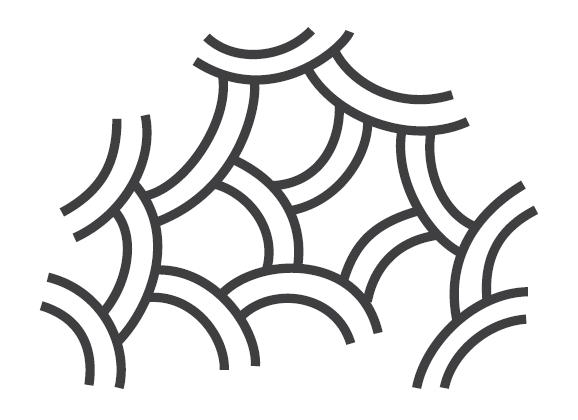 The Net is reflected in the logo design and our inclusive networking spirit. The Te Kupenga stone sculpture society originated through New Zealand's Taranaki Festival of the Arts with the purpose of reviving and promoting the art of hard stone sculpture in the region using Taranaki andesite as the predominant medium. The name Te Kupenga translates to The Net in Maori and pays respect to the heritage and ancestors of the area. Over the ensuing biennial symposia The Net has been cast worldwide and has brought us many quality stone sculptors creating a platform with which to share ideas, knowledge and experience and has encouraged the standard of work to continue to rise over the duration of Te Kupenga’s existence.Te Kupenga is a unique place in New Zealand and has grown and developed thru the hard work and passion of it's founding members and many local supporters. Today Te Kupenga has a permanent working base on Centennial Drive under the watchful eye of Paritutu rock, accommodating it's thriving members who come far and wide to share their creative passion. Purpose build club rooms, storage areas and specialist equipment and tools provide the perfect place to sculpt. On the first weekend of each month, members gather for two days of sculpting in the grounds, recreating the symposium atmosphere. Visitors are welcome to come and view the work in progress which for many is a unique experience, some of whom are even inspired to give it a go them selves. When the works are completed members are encouraged to display them in the clubs outdoor gallery area available for purchase. New members are always welcome and workshops and tutoring are available for people to help develop skills and confidence. BIENNIAL INTERNATIONAL STONE SCULPTURE SYMPOSIA held on even numbered years on the Foreshore, New Plymouth featuring 25 selected international, national and local artists. Participation is competitively based on applications which close in June. Register your interest early and information will be sent to you. CUT & POLISHED Small Stone Sculpture Exhibition held on alternate years. Open to all members. The first exhibition was held at Real TART Upstairs Gallery, New Plymouth, in November 2012. The principal material used at Te Kupenga is Taranaki Andesite, a local stone perfect for sculptural work. The andesite is sourced from local quarries as large river-worn boulders. Taranaki Andesite originates from Mt Taranaki, the iconic volcano that dominates and signifies the Taranaki landscape. Mt Taranaki is a classic andesite stratovolcano having a steep conical form made up of layers andesite lava and volcanic debris, resting on an extensive ring plain of volcanic material. Taranaki Andesite is classified as a hard rock in terms of its sculptural properties, although hardness and color can vary considerably between individual stones. Mt Taranaki is approximately 120,000 years old and has been through a number of phases of build-up and collapse. The present cone has been constructed over the last 7,000 years and last erupted in 1755AD. The moderately eroded remnant cone of Pouakai lies 7km northwest of Mt Taranaki, is about 250,000 years old and rises to 1399m. The Kaitaki range a further 10km northwest is a deeply eroded stratovolcano made up of a series of radial ridges and a central plateau at 684m, and dated to 575,000 years. The oldest and most deeply eroded center is represented by the nearshore islands of Ngamotu and the onshore volcanic spire of Paritutu which overlooks the Te Kupenga club rooms and Port Taranaki on the edge of New Plymouth. This center is dated at 1.7 million years and these remnants are thought to be part of the feeder system to now eroded vents.